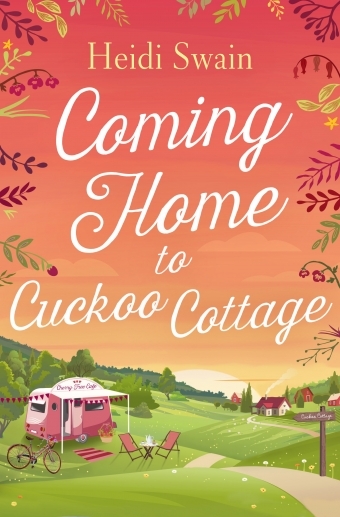 This week, to celebrate the forthcoming publication of Heidi Swain's latest novel, Coming Home to Cuckoo Cottage, she and I have got together to bring you an interview with a difference: a walk around Wynbridge, the delightful setting for Heidi's books. Welcome to Wynbridge everyone! I’m delighted you have been able to join me on a little trip around the pretty town which has provided the backdrop for all of my novels so far. Let's get a sense of the size of Wynbridge. Is it big enough to have its own secondary school or do the teenagers go elsewhere every morning? The population of Wynbridge is hovering around the 18,000 mark now and the town not only boasts its own secondary school, but also a small college and attached horticultural unit. I’m delighted to say that the school places a high value on the importance of understanding the countryside it is set in and has both a well subscribed allotment and poultry club. How about shopping? Boutiques and independents or high street chains? With a nod to my friend Jen Gilroy, I have to ask - does Wynbridge have a good shoe shop? Wynbridge, like most market towns, has quite a mix of shops. As you may recall from Mince Pies and Mistletoe, there is a modern out of town retail-park but the little streets around the market square, where The Cherry Tree Café is located, has enjoyed something of a revival in recent years and has a number of small independent boutique style shops. What with the quiches and cakes on offer and the unique shops, the town centre is the perfect place to look for unusual gifts and pretty treats. With regards to shoe shopping, I’m afraid, when it comes to footwear, the townsfolk are generally a practical bunch and the local stores sell far more wellington boots than kitten heels. However, I’m fairly certain there’s a budding design student at the college just waiting to spread their wings and establish their own brand of more stylish footwear! For coffee and a catch-up it has to be The Cherry Tree Café of course. It doesn’t matter whether you turn up on your own or with a group of friends, a warm welcome is always on offer along with a variety of Jemma’s mouth-watering bakes. What about eating out? Anywhere romantic? Good place for families? Decent pub food? The Mermaid, run by Jim and Evelyn serves up great pub food and has its own restaurant area as well as a small garden which makes it popular with families. The menu is pretty much as you’d expect but Evelyn insists on using local, seasonal ingredients wherever possible and her cooking is top shelf. The pub also offers entertainment in the evenings and has even been known to host the occasional Christmas dinner! If it’s a romantic evening out you’re planning then I would head to the little Italian in the arcade. It has been run by the same family since it opened its doors in the seventies and is hugely popular. It is always fully booked and families are as welcome as smooching couples. Is Wynbridge a place the youngsters grow up wanting to get away from.... and if they do leave, is it somewhere they end up wanting to return to? Indeed, can they return? Do house prices permit it? Lots of youngsters go off and spread their wings but there’s something special about the place that pulls many of them back. It’s something of a haven I guess, not too big to get lost in but not quite small enough to feel claustrophobic. There’s a fine line between cosseting and gossiping and, as with anywhere where everyone knows everyone else, that line does become a little blurred sometimes, but by and large Wynbridge is a wonderful place to live… and love! Both Lizzie and Ruby headed home when times were hard and their hearts were soon mended. In line with the rest of the country house prices are rising all the time but the council is very much in favour of providing affordable housing and the surrounding villages have even tougher regulations than the town when it comes to new build quotas. I would like to think that there was a home to suit everyone’s pocket in Wynbridge but in reality that may not be the case. How old are the oldest houses? Is there new development? Was Wynbridge mentioned in the Domesday Book?! Wynbridge did get a mention in the Domesday Book. In fact, it was already quite a large village by 1086 with both farmers and fishermen utilising what the area had to offer. I’m not sure how old the oldest houses are but there are some fine Georgian properties dotted throughout the town as well as some not quite so picturesque new developments. Meeting the needs of an ever increasing population has meant that building comes at a cost and Wynbridge has consequently lost some fine architecture down the years. Fortunately however planners are taking a more measured view of what can be bulldozed now and hopefully any future development will be more sympathetic. Apologies for the following question, but I'm biased. Speaking as someone whose house is five minutes walk from the sea, I'd like to know where would a Wynbridge family go if they wanted to head to the seaside? Now that would depend on the type of seaside you were looking for. If it’s a bucket and spade, ice cream and funfair extravaganza which takes your fancy then it would have to be Sunny Hunny. That’s Hunstanton to anyone not in the know. But if you were perhaps looking for something a little more sedate and dare I say it, genteel, then a little further east would perhaps be more to your liking – Blakeney or Wells-next-to-the-Sea. They’re all beautiful places in my opinion, but I do have a bit of a weakness where Wells is concerned. And finally.... what is it about Wynbridge that has so captured the hearts of your readers? Firstly, I am immensely flattered you think that Wynbridge has captured the hearts of my readers. I am totally in love with the place of course, but to think that the town I have created would be somewhere other people would want to live is wonderful. With regards to its appeal, I think it is down to lots of things. There’s such an interesting array of town and country folk – old and young alike – and I also think the semi-rural location is a real selling point. Wynbridge is a place where town and country are truly intermingled, where dreams can become a reality and where people can fall in love. That’s a pretty irresistible combination, isn’t it? I know I would move there in a heartbeat! Her debut novel, The Cherry Tree Café was published in July 2015 and Summer at Skylark Farm hit the shelves the following June. Mince Pies and Mistletoe at the Christmas Market was a hugely successful Christmas 2016 release and her fourth book, Coming Home to Cuckoo Cottage will be published on July 13th this year. She is currently working on her October 2017 release, Sleigh Rides and Silver Bells at The Christmas Fair. Wynbridge sounds thr perfect village - I might have to move there! What a lovely post, Heidi and Susanna. The reference to shoes (and subsequent comments by post readers) did make me chuckle! The absence of stylish shoes notwithstanding, I very much enjoyed this walk around Wynbridge (in my virtual kitten heels!) 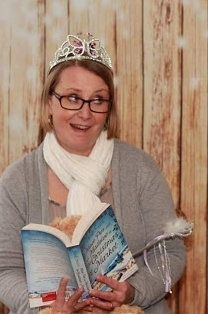 & finding out more about the setting for your books, Heidi. You've almost convinced me I need a new pair of wellies! Now there's a thought - a map of Wynbridge. I'm like you, Kate - I do like to see a map. Glad you enjoyed the blog. Thanks, Tara and Mary, for your comments. It is a good idea for a blog interview, isn't it? Heidi and I had such fun with this. Glad you enjoyed it. I need to move there now! A shandy and steak in The Mermaid sounds perfect. My son attended an agricultural college (Hadlow College) so another thumbs up. Are there any properties for sale near Skylark Farm?